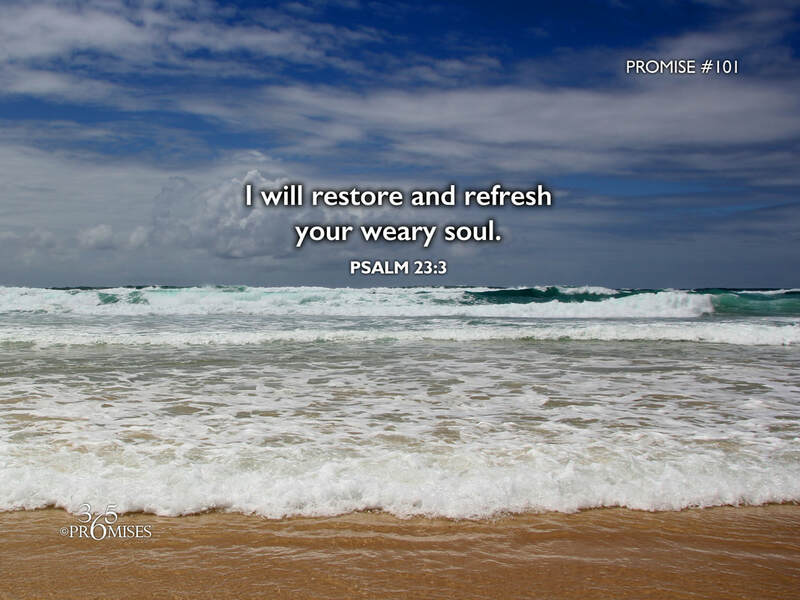 God created us to be restored and refreshed on a regular basis. The daily cycle of life demonstrates this as we are intended to rest (sleep) for a good 8 hours every day. Science is showing us more and more how important it is for our physical and emotional well being to be able to rest. In today's promise, King David declares that it is God who is the restorer of His soul. The New Living Translation says... He renews my strength. The Amplified Bible says... He refreshes and restores my life (my self) The Message Bible says... you let me catch my breath. I am not an expert in such things, but I understand from articles that I have read that up to 70-80% of physical illnesses are stress related. What that tells me is that the human body was not created to sustain a chronic amount of stress day in and day out. We all need to be refreshed. We all need our soul restored. My prayer today is that each one of us would find the rest that we need in the midst of the hustle and bustle of our busy lives. May the Lord renew our strength, may He refresh and restore us, and as The Message Bible says... may we be able to catch our breath.